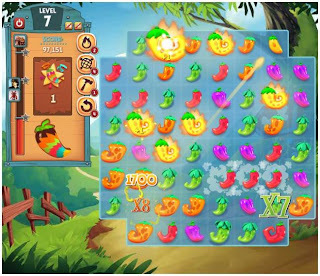 Another match-three puzzle game with which King could mesmerise the gamers as he did with Candy Crush Saga is Pepper Panic Saga. It will keep you engaged till you will be embarrassingly late for your daily schedule. Don’t think that you are going to work with Pepper, Salt and table sauces. Pepper is a cute little puppy here who has a nasty taste for hot things. He is not at all like his fellow beings who will run after bones and other stuff. Rather he would love to sniff around for the best pepper available. His obsession with peppers finally makes him transform his life from a dog to a pepper planting professional. If you can feel his passion help him out in farming pepper. For you it is only matching three same coloured pepper which will grow peppers in larger numbers. In the third stage if you grow more than three, it will burst and sprinkle seeds over the board causing pepper plant of the same colour growing in all directions. Now it is sheer by chance that you can hear the Pepper Panic by such bursts of pepper and earn a huge amount of points which will push you in the game much ahead than you could imagine. You task will vary from exploding same coloured peppers to playing Slots-style games where you have to match one particular colour with only a specific kind of peppers. But all has to be done within a given time limit. Apparently easy, Pepper Panic Saga will make sure that you cry a lot before reaching a satisfactory end point and your beverages get cold, to cross a level. Till you complete the entire task, Pepper Panic Saga will not allow you to breathe and you’ll be pulled back to the stage from where your struggle started. Though it is just another addition to the match-three puzzle game, Pepper Panic Saga is different from all its row mates starting from its growing mechanism till its interactivity and game strategy. It is a free to play game which lets you buy power ups at a particular level. If you are too gadget prone, you can also buy extra power ups to speed up the journey towards your goal. Yes, that is a very typical sign of King’s playthings. Here you have to buy power ups in exchange of gold and not from the in-game stores. King is that lenient that he bestows you with some gold at the starting of the game itself, so that you can sail your boat faster in the initial stages. The word “Panic” has a great significance in the game. 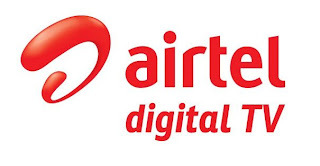 Although you might not realise it in the first few moments of the game, later you will feel this panic throughout till you are all done with your task and know the game so well, that you can get addicted to play it whenever you are in front of a digital screen. Has an innovative game plan with a constant excitement for completing tasks. A little bit difficult to understand the pulse of the game and the right timing to go for power ups.